I’m not an Odd Fellow. I’m a Freemason. You’re probably wondering what in the world I’m doing here. Well, let me tell you how I came to be here. It’s an interesting story. I’m the Worshipful Master of Homer Lodge No. 199 in Homer, Illinois—that’s the same as a Noble Grand in the Odd Fellows. During my term as Master, I want to try and make our meetings a little more interesting by adding an education component to each and every one of our regular meetings. Sometimes as Freemasons, we get so involved with our business meetings (reading minutes, and hearing committee reports) we forget why we’re supposed to be there to begin with. The purpose of Freemasonry is to make good men better. We strive to improve our character, to learn to live a more virtuous and moral life, and as a result of these improvements to ourselves, we become better husbands, fathers, citizens, and community leaders. There are Masonic libraries full of writings about Freemasonry, but sadly, other than the lessons and allegories from our ritual initiation ceremonies, many of our Masonic Lodges these days have gotten away from teaching the application of these principles into our daily lives. There’s been a real push to bring those teachings back. That’s what I wanted to introduce into our meetings at Homer Lodge—some deeper discussion into the self-improvement aspects of Freemasonry, the history, the esoteric teachings, and the symbolism found in our ritual traditions. 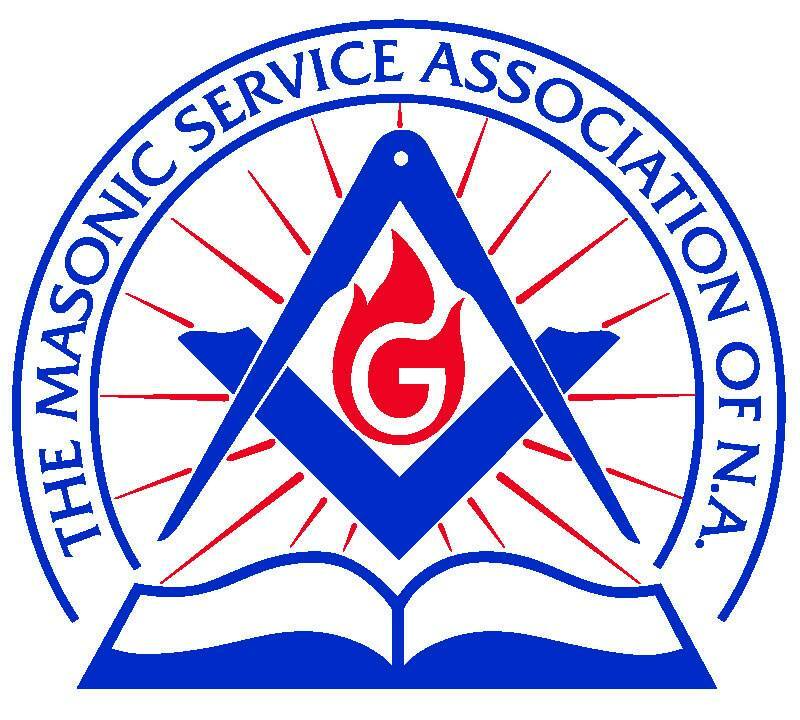 It occurred to me while I was scheduling speakers and topics for discussion, that there might be lessons Odd Fellows and Freemasons could learn from each other. When I’d mentioned the possibility of inviting the Odd Fellows to join us during one of our meetings, it was obvious there was a great deal of curiosity amongst Freemasons about the Odd Fellows. Our members were interested to see where our two organizations are the same, and where they are different. So we invited Ainslie Heilich, the Noble Grand of Tuscola Odd Fellows Lodge No. 316 to join us one evening in July to talk about the Odd Fellows. As it turns out, our organizations are very similar in some areas, and very different in others. 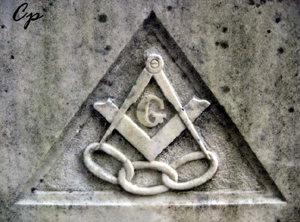 Both modern Freemasonry and the Odd Fellows came into existence around the same time, the 18th century, and both came from the workers guilds—the Freemasons worked in stone, and the Odd Fellows were the “general contractors” of their time. Both groups made a transition from being “operative” craftsmen to “speculative” craftsmen—as Freemasons will often say, we stopped building structures, and started building communities. However, what we learned from Ainslie was that Freemasons and Odd Fellows have very different ways of going about that similar goal. The Odd Fellows put the emphasis on service—doing good works in their community. Through the performance of good works the Odd Fellows improve the world they live in, and improve their character through the process of giving of themselves. The Freemasons on the other hand put the emphasis on self-improvement first—as the ancient stonemasons did in shaping stones, we work to create in ourselves a perfect stone for building by knocking off the rough and superfluous parts of our character. In the Freemason tradition, charity and public service are the nature result of character and leadership development. Now that’s a bit of an oversimplification, but what the Freemasons and the Odd Fellows do have in common is a desire to make the world a better place through our contributions to it. The Freemasons and the Odd Fellows have a long history of attracting industrious individuals, and in building strong communities. A couple weeks after the Odd Fellows visited us in our Masonic Lodge, I found myself climbing the steps of Tuscola Odd Fellows Lodge No. 316 with my two principle officers. We were given the grand tour, and we learned as much from Ainslie about the Odd Fellows as I hope we taught him about the Freemasons during his visit. And all three of us petitioned to be members of the Tuscola Odd Fellows Lodge. I’m looking forward to learning as much about the Odd Fellows as I have about the Freemasons. There’s a lot of talk these days that organizations such as ours are slowly dying out, and one day in the not-so-distant future, we’ll be relegated to the ash heap of history. I don’t believe that for one minute. All you have to do is visit Homer Masonic Lodge No. 199 or Tuscola Odd Fellows Lodge No. 316 to see that our ancient societies are very much alive and well. There will always be in our society, that small group of individuals who are willing to serve the greater good. Those individuals who don’t just talk about making the world a better place, but actually roll up their sleeves and get to work to make it so. And in that, the Freemasons and the Odd Fellows aren’t so different after all. Freemasons have been and will continue to be a target for conspiracy theorists because we are as they say, a secret society. As a freemason, and an avid follower of conspiracy theories, I guess I fall into the category of a hypocrite. 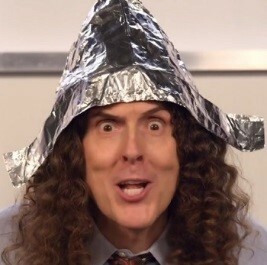 For me, reading about and researching conspiracy theories is a way to unwind, and to often laugh at the ridiculousness of the human imagination. This being said, there are some conspiracy theories that I somewhat subscribe to. I do believe that there was a conspiracy to kill JFK, I believe that not all of the official story of 9/11 is true, especially surrounding what caused Building 7 of the World Trade Center to come down, and I believe that it’s possible that technologically advanced extraterrestrial life could be visiting us. So be forewarned, I’m obviously a tinfoil hat wearing nut. However, I want to deal with why they believe that Freemasons are involved in hiding the flat earth. One of the main tenets of flat earth belief is that the theory of Gravity is a lie. Furthermore, Sir Isaac Newton was a Freemason, and the Freemasonic Royal Society has been pushing this lie since its inception. 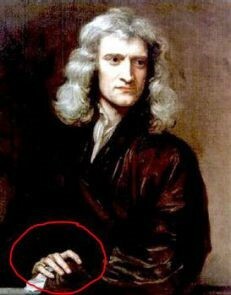 Although there is no definitive information about Newton being a Freemason, it’s obvious that he is. 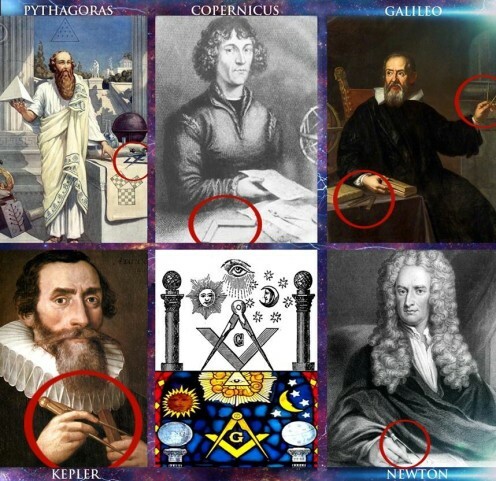 His hand in both of the below portraits display this, because he’s apparently giving the Masonic M hand sign. You know the one, right? M = Mason!!!!! In fact, the whole Heliocentric model of the Universe is a lie. The flat earth is the center of the universe. Those who promote the Heliocentric Model are Freemasons. Yes, anytime a square or compass shows up in a painting, it means that person is a Freemason. 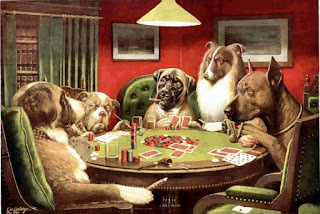 Just like every time a playing card shows up in a painting, it means that person is a professional poker player. I mean it’s just coincidence that the square and compass can be used in mathematics. Everyone knows that you all became Freemasons in High School Geometry. You used a compass didn’t you? But most importantly, since we hide everything in plain sight…. What do you think the G in the square and compass means? Gravity. Which we made up. There’s no reason that you’re not floating right now. We’ve told you this recently in the Motion Picture IT. “You’ll float too!” A direct reference to the Freemasons via our control of Hollywood. So what keeps us on the ground? Magnetism. Yes another invisible force which like gravity depends upon the mass and attraction between two objects. That’s not too farfetched is it? By the way, the Freemasons apparently control NASA too. Because we control Hollywood, and all Hollywood major players are Freemasons, it’s easy for us to make the best sci-fi films. I mean NASA’s budget in 2016 was 19.3 Billion dollars. We can totally make it seem like we have men in orbit on a “Space Station” above the “ball” earth with that kind of budget right? Never mind that you can take photos of the International Space Station from the ground with the aid of telescope. We don’t have satellites in orbit either. GPS is just based off triangulation from ground based cell phone towers. Don’t let the fact that I can take a dedicated GPS device on a plane flight and have it give me positional readings, airspeed and elevation at 30000 feet in the air dissuade you. We’ve never been to space or the moon! Wake up Sheeple! Seriously, it’s all CGI. Just ask the Masonic film directors and producers like: Spielberg, Lucas, Roddenberry, Howard, Haskin, Cameron, and Kubrick. Once again, there’s no proof that they are Freemasons, but we should never let facts get in the way of a good conspiracy. Yes, without a doubt, there were many Freemasons who were astronauts. Buzz Aldrin, Gordon Cooper, Dr. Edgar Mitchell, and John Glenn were Freemasons, just to name a few. Yes, Buzz Aldrin took a Southern Jurisdiction Flag to the moon… err film set, where fellow Freemason Stanley Kubrick directed the whole thing. It’s not like there are any laser reflectors on the moon left by the Freemasonic Lying Astronauts that allow precise measurements of the Earth-Moon distance for the last four decades. I mean to say that if we had the ability to measure the distance from the earth to the moon, then that would totally destroy the whole flat earth thing right? Flat earthers believe that the earth and the moon are both 3000 miles above the plane of the earth. It’s a complete masonic lie when the distance is measured to be at an average of 239,228.3 miles. There is however an even more sinister way in which we Freemasons hide the flat earth from the masses. Since we hide everything in plain sight, I present to you how you can really tell that the earth is flat…… Drumroll please. That’s right. Every time a masonic lodge holds a pancake breakfast, it’s reminding you sheeple of our intellectual superiority over you. 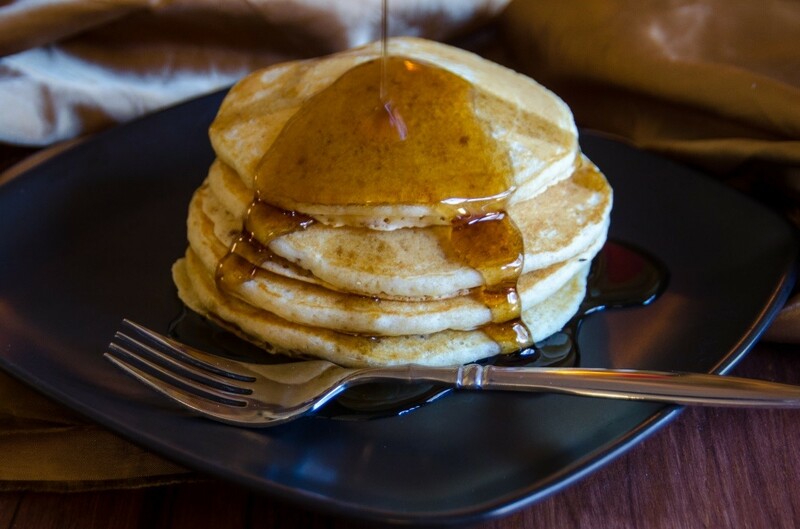 We love our pancakes as much as we love our flat earth knowledge. The pancake is a perfect representation of the flat earth! Pancakes are flat, the earth is flat. Any other questions????? I didn’t write this article to trifle with your emotions. I would hope that I’ve not offended anyone that truly believes that the earth is flat. Honestly, if that’s your belief, good for you. You see, if there is one thing that being a Freemason has taught me, it’s to be tolerate towards mankind. It’s possible that you worship a different god, or have a different favorite sports team, believe that the earth is flat, or have a different skin color or sexual orientation. None of that matters to me. What matters to me is that you believe in tolerance. I think I see why many of the flat earthers use Freemasonry as a scapegoat. It’s because they really don’t know anything about us. We are not a ‘secret’ society. Yes we take an oath to not reveal certain parts of our ceremonies. 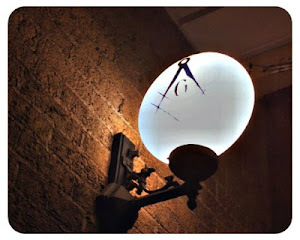 However, Most Lodge buildings are well marked with the square and compass, or other masonic markings – Like a sign that says – so and so lodge meets here on such and such night. Anyone who meets the qualifications can join (In Illinois this means that you are 18, have never had a felony conviction, and believe in a supreme being). You just have to ask another member about joining to join. We don’t actively recruit members. I know that some of the Grand Lodges have relaxed this, but for the most part, this is still the case. So I’m breaking the golden rule right now. I’m talking the person who stumbled upon this blog because they think I’m confirming what the dozens of flat earth YouTube videos and websites state about Masonry hiding the flat earth. I ask you to go to your local lodge and ask to join. What have you got to lose? If you really want to see what our mysteries consist of, if you want to see if we’re hiding anything, then come on down. Maybe you’ll convert some of us into believing that the earth is flat. We won’t care one way or another once you’re a brother. But of course, what do I know. I’m only a 32nd Degree Scottish Rite Mason. They tell you all the good stuff at the 33rd Degree. Am I right, Todd Creason???? WB Darin A. Lahners is the Worshipful Master of St. Joseph Lodge No.970 in St. Joseph and a plural member of Ogden Lodge No. 754 (IL), and Homer Lodge No. 199 (IL). He’s a member of the Scottish Rite Valley of Danville, a charter member of the new Illinois Royal Arch Chapter, Admiration Chapter U.D. and is the current Secretary of the Illini High Twelve Club No. 768 in Champaign – Urbana (IL). He is also a member of the Eastern Illinois Council No. 356 Allied Masonic Degrees. When he’s not busy enjoying Masonic fellowship, Darin spends his time as a DM for his children’s D&D campaign, reading, golfing, watching movies and listening to music. You can reach him by email at darin.lahners@gmail.com. Good writing starts with good research. OK, maybe there is, in fact, some sort of order to these tips. Research comes before writing. It's a real shame that, in order to speak as an authority on a subject, you have to know something about it. 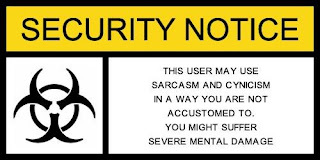 Sarcasm aside, some enjoy the research while some find it tough. Either way it's usually the most time-consuming part of writing. Still, you've got to do it — two corroborating sources for every fact. Oh, and, by the way, Wikipedia doesn't count. Don't make me take the next 1,000 words saying why. Just take my word for it. Get a handle on grammar. It sometimes seems everyone thinks they are… uh… I mean he or she is better at grammar than everyone else. The grammar police are all over the Internet. If you don't believe me, just post something like, "Your right if you think the Lodge had performed there best degree work last night." That sentence just screams for a visit from the grammar police. Check out Grammarly (https://app.grammarly.com/) or the Grammar Girl (http://www.quickanddirtytips.com/grammar-girl) for your grammar police get-out-of-jail-free card. Give credit where credit is due. Never, never, never quote another author or source without giving credit. The thing is, if you quote another author and cite his work, it actually makes you look better and smarter. I had so many footnotes in my first book one Brother called it "very academic." I'm no academic. What's more, someday you may be on the other end of things. A few years back some creep (it's not name-calling if it's true) in Texas was plagiarizing the Midnight Freemasons almost on a daily basis. It's infuriating. Get a personal editor. Any publication you write for will have its own editor — Robert Johnson, for example, in the case of the Midnight Freemasons blog. However, it's a good practice to have someone you can rely on to review your work before you submit it. I can honestly say I've never had someone look over my work and suggest changes that it didn't turn out to be a better piece. My wife Carolyn does this for me. She's so smart I figure if I write something she can't understand then no one will understand it. Other than that, the fact she's smarter than me usually works to my disadvantage. Develop a thick skin. You will be rejected, criticized, even maligned. At some point, all writers suffer the slings and arrows of outrageous… readers. If you make a mistake admit it, correct it and move on. I once made the heinous mistake of calling a destroyer a battleship. I've heard from everyone but the Secretary of the Navy about that. If you get unwarranted criticism, don't let it get to you. I once wrote a Scottish Rite article… subject withheld so we don't get anyone riled again… that drew nuclear criticism from a pretty important member. The whole kerfuffle went to my Personal Rep, SGIG and finally to someone at the House of the Temple. In the end I came out OK. Why? Refer back to the advice on good research. Write a little in order to write a lot. I don't suffer much from writer's block. If I get stuck I just tell myself, "Write a paragraph… even a bad paragraph. You can change it later." Usually, once I have that sticky paragraph out of the way things begin to flow again. This little trick, however, goes further than getting articles done. I also use it to write books: write a chapter, turn it into an article and publish it. That's how I got my first book out the door. Almost every chapter was revised from an article I published. For my second book, Tales From the Craft, I wrote one "tale" per day and published it on my blog. After a couple years of that, I had a book's worth of material. And finally… For God's sake, write in the active voice. If you don't know what that is, your next assignment is to look it up and embrace it. Remember, these are just some of the personal tricks I use when I write. Everyone is different and may have different ways of accomplishing the same thing. Maybe my final tip is to talk to other writers and find out what works for them. Then apply what you've discovered to see what works for you; and when you find something, let us all know. The learning process never stops. In the first two installments (part 1 & part 2) of this series I introduced a method that I use when approaching our ritual and texts. Part 3 proved to be more challenging than the first two, primarily because our work deals heavily in allegory which is distinct from analogy. Allegory is when characters or events are used to portray certain lessons. An analogy is a comparison between two items which are similar in some way. As such, it would be incorrect for me to elaborate on what the tyrians represent in our daily lives (as my first draft of this post did). Instead, analogy encourages us to look at the ritual themes for modern ways which they may be applied to our lives. The ‘Principle of Analogy’ asks and answers the question, "Are there modern situations which are comparable to those which are historically portrayed in the ritual?" The Principle of Analogy is applied when you have scenarios from a historic text or texts that might not exist perfectly the same today but we can still apply the lessons to similar situations. Thus, analogy is less about "What can this teach?" and more about "How can this be applied?" Often our Masonic education tends toward having an obvious connection to Masonry. Many topics either have the word *Mason* in it, are about a famous Mason, or touch directly and specifically on our symbols. In applying the Principle of Analogy we can significantly expand that which is Masonically necessary to teach. What can we be teaching and discussing within our halls to expand our understanding of the world? Topics that may not be obviously Masonic in nature, could present serious value to our order. Our degrees address relief. What does that look like in 2017? Could we be developing the hearts of our Brethren by evaluating injustices surrounding us: human trafficking, access to clean water, or institutionalized classism. The tools presented in our degrees should enable us to recognize that these are not political issues; they are matters affecting humanity likely in our own backyards. This analogy discourages our participation in divisionary activity and encourages actions which cement all men together in the bonds of Brotherly Love and Affection. Another example is Preston’s inclusion of the sciences in our degrees. His intent was to encourage both critical thinking and a sense of wonder in the Great Architect's creation. When the lectures were written, many of these topics were revolutionary but 200+ years later they no longer ought to be considered as such. Shouldn’t we be expanding our education beyond basic history to include anything that might expand the intellect of our Brothers? Analogous topics could be string theory, psychology, and Fibonacci. Each of these subjects can be justified through the Principle of Analogy and understanding the context in which the ritual was written. What else does the Principle of Analogy expand our teachings to include? How can we use this to approach the text with new insight? Next we will discuss the big picture and its contextual role in our ritual. Recently, I was asked along with my peers to write a "State of the District" Report for my district. As a DDGM (District Deputy Grand Master), it's a duty that I didn't think we did anymore. If you look through the old proceedings of the Grand Lodge of Illinois, you can see these district reports. I read a few to get the flavor for how they were written. It is the wish of the administration we start to do these reports again. So, at 11pm, the night before it was due, I sat down and wrote out my thoughts. I deleted the opening sentence three times before I was satisfied. I thought about what to say. Should I report on each lodge? Do I mention short comings? As I wrote, it became apparent that we as a district had so much to be proud of and our successes far outweighed the failures. I focused on the successes. There was far more extraordinary effort in making the successes happen than the normal circumstances that lead to small failures. So why even focus on those failures at all? I called out the successes. In the end, I learned something through the writing and revision process. I learned how I view the district and the men who continually work to make it what it is. As we fast approach this years Grand Lodge Sessions (for Illinois), I think back over this Masonic year and give thanks to the seven lodges in our district who've worked hard, through all the trials and tribulations that we all go through and yet still manage to come out on top. I give thanks for my mentors, and the leadership to whom I report, because without them, I wouldn't know what to do. Cheers to the best district in Illinois, as PDDGM Joe Santisteban called us, the "Fighting 1st NE". Recently when a Brother asked what advice I might have for budding Masonic writers, the question took me off guard a bit. Even though we were having a conversation about a book I had edited and others I had written, I sort of forgot I was a writer. That doesn't qualify as a "senior moment." I just don't primarily think of myself as a writer. Dan Brown is a writer. David McCullough and J.K. Rowling are writers. I am a Freemason who writes. Go ahead… call me a writer. I won't be offended. Dan Brown, David McCullough and J.K. Rowling might be, though. So when the Brother asked me about writing, my brain had a small geomagnetic storm. I gave him a bloviated answer that meandered somewhere between the history of the written word and a full quotation of Strunk and White's unabridged Elements of Style. I could have been so much more efficient. What advice do I have for aspiring writers — Masonic or not? That's it: write. Write until the letters wear off your keyboard. Write until your body seizes into a ball from writer's cramp. Write until the cows come home. When the cows come home, keep writing. Write until you finish the article, book, trilogy or whatever; and when you're done, write some more. "Writers write," as they say. Congratulations. You are a Masonic writer. One of the greatest duties I’ve been called for as a writer is to be a book reviewer. Not only does it afford me the opportunity to count my reading time as “work”, but it exposes me to multiple great works that I might otherwise never have discovered. 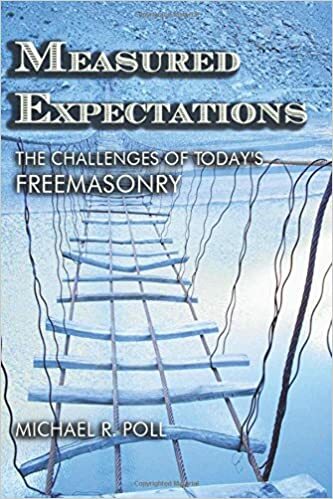 Such is the case with “Measured Expectations: The Challenges of Today’s Freemasonry” by Michael R. Poll, which I only learned of when I was asked to review it. I have enjoyed Brother Poll’s other works greatly, and specifically his Masonic edition of “Robert’s Rules of Order” has proven an invaluable reference during my time as Worshipful Master. If you have ever read any of his books on philosophy or esotericism, you should have a rudimentary idea of what to expect here. This book (as with many of Brother Poll’s other books) isn’t necessarily intended to be read start to finish, although you are definitely welcome to do so. Instead, each chapter serves as a short stand alone education piece, suitable for either private reflection or for a supplement to your lodge’s education program. As such, it becomes very difficult to review this as a “book”, and we must instead look at it as a collection of papers sharing the same basic theme. With any collection such as this, there will be some works that are stronger than others, and some that are more meaningful to you in your current journey than the rest. If I had my way, every single Mason would read the first paper, titled “A Young Man Joins A Masonic Lodge,” before their annual elections. I believe this one paper to be of such high importance to understanding the current problems in Freemasonry that I think it should be distributed as far as possible, and this paper alone is worth the purchase price of the book. Another paper that I found fascinating had to do with the symbolism and history of the double headed eagle. I would love to see the ideas in this chapter expanded on, as it could almost be a book to itself. My only frustration is that it was much too short, and Brother Poll had to stop the article before really delving deeply into the ideas he brought up. The remainder of the papers in the book delve into subjects such as music, the history and role of ritual, understanding the culture of different lodges, and a brief examination of the modern Scottish Rite. Conspicuously absent is any discussion of the York Rite; I’m not certain if Brother Poll does not find it an interesting topic, or if he doesn’t feel qualified to discuss it, however I would have loved to see his take on the modern York Rite in the same manner he discusses the Scottish Rite. “Measured Expectations” is necessarily repetitive at times; as a collection of papers, some themes are touched on in multiple different papers, and each time it is from the standpoint that you did not read any of the previous papers. This isn’t a bad thing, since the intention is to use each chapter by itself, however it is something to be aware of if you choose to read it start to finish as I did. The intention of this book is to help brothers who are newer to Masonic education find a foot in the door, and it exceeds expectations for that. The topics presented and writing style are all simple enough for a newer Mason (or one who is just finding an interest in learning more) to gain significant insight from, without boring the more experienced Mason. If this book makes you curious to start doing more in-depth research on your own, Brother Poll should consider himself highly successful. *Editors Note - In "light" of some of the reading I've been doing (David Chaim Smith), it made me think about this piece in particular by Bro. James E. Frey. Enjoy! On behalf of the Midnight Freemasons, we wish the best for all those whose lives have been affected by this devastation. I think I'm being followed by The Midnight Freemasons . 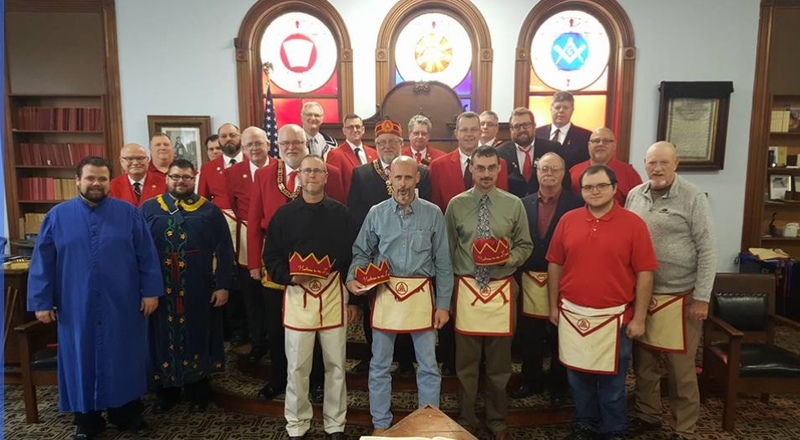 . .
Last month in Illinois, Masons were encouraged by Our Grand Lodge, to show their Masonic pride by wearing their Masonic hats, shirts, rings, etc on "Masonic Pride Day." And many of us did! Of course, for many of us, everyday is Masonic Pride Day. I wear my ring every day, I drive a car with Masonic plates on it along with the Past Master brake light stickers. I have no less than eight Masonic polo shirts in my closet from a variety of Masonic bodies, and I couldn't guess how many t-shirts from Masonic lodges, events, our annual trail run, etc., I have in there. And I'm not alone. It's not difficult to pick the Mason out of a crowd. I run across Masons all the time. That's why it never ceases to amaze me when I write about Freemasons (which I frequently do) how many emails I get, and how many comments we get on the Midnight Freemasons like the one below. I'm constantly being accused of "outing" Freemasons. I've said it before, and I'll say it again--being a Freemason is not a secret! I've never known a single Freemason that has kept his membership a secret. It is not a fundamental rule of the Craft that we keep this information to ourselves. I've written three books about famous Freemasons. I've interviewed famous Freemasons, and I've had famous Freemasons contact me wanting to be in my next book about famous Freemasons. I don't know a single Mason that is "in the closet" about their membership. It's just not a thing at all. There's no plot, and we're not following you or trying to infiltrate your book club for nefarious purposes. We aren't secretly spying on you while you eat your lunch at Subway, and we're not reading over your shoulder at the bookstore. But the emails and comments on the Midnight Freemasons persist, especially when I add an installment to my long-running series "Freemason Or Not?" "Hello Todd I am glad to write to you for the first time. You present yourself as a GM right, 33, I am really glad for you and respectful... but how can you as a Freemason reveal a brother? Isn't it one of the first rule to NEVER reveal a brother FM? Or are all your articles misinformation for the profane? We've got a lot of FM in my family of course nobody will tell that they are part of it in front or profanes. So I am wondering how can you GM write down so many articles clearly passing away this fundamental fraternity's rule... please explain me GM." So rest assured, if you're in the presence of a Freemason, it probably won't be very hard to tell. And if you ask somebody if they're a Mason, they aren't going to lie to you. It's not a requirement that Freemasons keep their membership a secret--it's our membership in the Toastmasters that we don't talk about . . . Note: Just for clarification, I am not nor have I ever been a Grand Master. Another Note: I've been corrected and I've made some clarifications in this piece. In some places in the world it may not be wise to announce you're a Freemason because of a political or religious environment that exists, however, my main point is that it is not a fundamental fraternal rule that membership in a Masonic Lodge is something that we keep a secret. That is what is so often asserted--that we are to keep our membership a secret because it's a fundamental rule of the society. It is not. 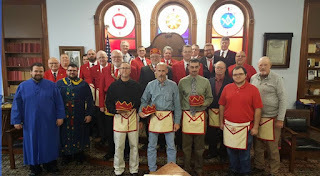 Admiration Chapter of Royal Arch Masons was established in 2015 with a dispensation by the Grand Chapter of Royal Arch Masons of Illinois. From the beginning, we have sought to be something different in an era when so many other Masonic organizations are struggling for membership, purpose and even their very existence. We have focused on masonic education, and a meaningful experience for our members. Let me share our mission and vision statements. So how are we doing two years later? We now have more than 40 members in our Chapter. Almost half of these are new Companions that were exalted in the past couple of years. We have had some outstanding educational sessions on topics such as civility, honor and masonic poetry. We held a St. John’s dinner in December of 2016, the first that I had ever attended. We have portrayed all four Royal Arch degrees, with several Companions learning parts that they had not done before. This degree work was done well and spurred other Chapters to bring their candidates to partake in the work. These first two years will come to a culmination on September 30, 2017 with an official chartering ceremony by the Grand Royal Arch Chapter of Illinois. A lot of hard work was put in by numerous Companions to get us this far. The leadership of the Grand Chapter has been unwavering in their encouragement and support along the way. But the chartering is just a beginning, at our next Stated Convocation on November 30, we will be reviewing our mission, and our vision and goals to see if they still reflect where the membership want to go in the future. When was the last time your lodge, chapter, council or other body sat down and chartered a course to where you want to go? Your organization doesn’t have to be brand new to begin a new path. You will be surprised how simple the process can really be once you embark on it. The rewards can be immense and the opportunity to experience success is very fulfilling. I invite you to attend one of our chapter events if you are a member of the Royal Arch. If you are not a member, please consider joining your local chapter. The sounds of the wake of the water could barely be heard over the roar of the shallow bottom boats coming ashore. Out of the boat, a member of the crew was cradling a small black dog in his arms. The man continued to stroke the scared puppy's head. The poor thing was wet, hungry, cold and tired. Out of his desperation, the canine somehow decided to trust his rescuer. “Maybe he felt he had no choice,” the crew member thought to himself as he took the poor creature inside the building. The old Masonic temple had not seen so much activity in many years. It had been several decades since their town had such a disaster. The rains began a few days ago. Two days and many inches of rainwater later, the Rivers surrounding the town began to rise. The flood protections the city relied on for so many years began to give way and a wall of water brought a flood of biblical proportions. Within a blink of an eye, many long time residents became homeless or worse yet, were trapped in what used to be their homes. Luckily the temple was spared the fury of the Grand architect of the Universe's wrath and became a makeshift storm shelter as a temporary headquarters for the town's emergency command center. Diesel Generators were attached to the buildings electrical systems in case of a power loss. Salvation Army and Red Cross began to bring in cots, blankets and much-needed food and water for those who lost everything. Many lodge members, who themselves lost their homes and possessions, were volunteering to help the needy by cooking or setting up cots or carrying in supplies. They were there to help where needed, not only to help others, but also to keep their minds off all that they had lost. The 50 year member saw another rescue boat come ashore in what was once the lodges parking lot. Through the driving rain, the old man saw an elderly lady who, by her appearance, was in a rough situation. Her clothes were soaked and clinging to her skin, while her unkempt hair was shading her hollow eyes. It appeared like she was in desperate need of help. “There is a good chance your doctor who cares for you or your pharmacist who gets your medication or even the policeman who puts his life on the line to protect you and I are members here. Freemasons and their families work and live in your town and every other small town or big city in this country." Adopted on December 15th, 1791, the amendment prevents the interference, constraints, and prosecution from the government when information doesn’t fit an approved agenda. In 1931 this was reinforced in Near V. Minnesota. A second important issue here is not just the freedom of the press, but also the independence thereof. Regardless of where you get your news, it’s likely a product of the Associated Press, which is largely an independent news source. It is true that there can be bias, liberal, conservative or otherwise. The point being, the news you read likely isn’t brought to you by the White House, unless, you know, you're on Twitter. Why is Freedom of Press important to journalists? Simply put, it allows them to publish information and often times more importantly, opinions and viewpoints relating to issues which might be of a sensitive nature, without fear of retribution. Journalists have an exclusive duty to print facts, an allegiance to the citizens, their one duty is to give us the TRUTH. What is true? Why is it important? What is true is simply an examination of the facts. Those things that can be said, reported and written, which are provable through personal experience and observation. Often times in today's media truth is skewed, taken out of context and rewritten to serve an agenda, be it political or otherwise. This is a major problem today, especially in social media. Countless memes portraying images of people, laying on a cherry picked quote and is then presented as the “facts”. Truth is important because it allows the reader, listener or observer to utilize that greatest of assets, their own mind, to determine for ones self what speaks to them. Today’s Masonic institution maintains control over it’s press, both in freedom and in independence. I’ve read countless Grand Lodge magazines and none of them report anything but their great successes. Everything has to go through a committee, everything must be approved. This is important on one hand, due to image maintenance but on the other hand, it’s hypocritical. Why is all this important to Freemasonry? As stated above, “Official Masonic” publications aren’t going to be unskewed. They will be truthful in the telling of stories or anecdotes which portray the great things we do and report benign happenings. As an organization as large as ours, it’s important to have independence in reporting on the inner workings of the craft. Only now, in the last few years has the organization had any kind of “free press”. In the past, issues were only talked about at the annual communications of grand jurisdictions, leaving men to decide on the spot, the resolutions to issues whilst not hearing the full story or both sides. I could cite numerous instances where grand jurisdictions have laid a heavy hand on anyone leaking out information to the public, especially when it involves issues of civil rights, racism and ethical and moral standards. However the good that came from these “leaks” and good that comes from the bloggers, YouTubers and writers who reported the issues has become immeasurable. It all insures accountability. Accountability as it relates to our espoused virtues, notably, Justice. The others; Temperance, Fortitude and Prudence, all playing a close second. Accountability is one of the most important aspects within any institution. 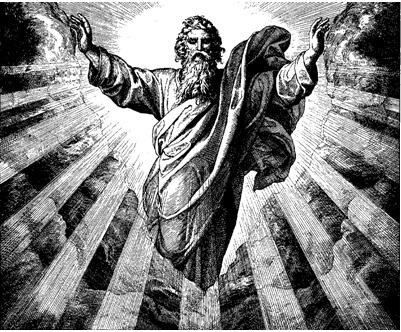 In Freemasonry, the belief in a “Supreme Being” is a method of accountability. As we say, “…It was necessary for you to profess a belief in a higher power, otherwise no oath would have been considered binding upon you.” Of course this is paraphrased, and your jurisdiction may vary slightly. The idea here is that based on the idea that paradise or an afterlife will be withheld as punishment for breaking your oaths holds enough weight with the brethren to allow you to be trusted. In our ancient fraternity, a man’s word is not enough, something has to hold you accountable. Accountability in a modern and everyday sense is observable every time you clock in at work, every time you send an email with a read receipt, log a task etc. In the way I speak about it here in this piece, it should draw a parallel to the many ideas proposed within our own American Constitution and Bill of Rights. The idea that the governmental body is beholden and held accountable by the people. The same should apply to Freemasonry. Without this accountability which is only now beginning to develop in our fraternity, you get what we have had since the beginning and that which has in recent years shocked brothers and the public across the world, when by chance, stories that escape the confines of Grand Sessions make it onto popular news sites like NPR. 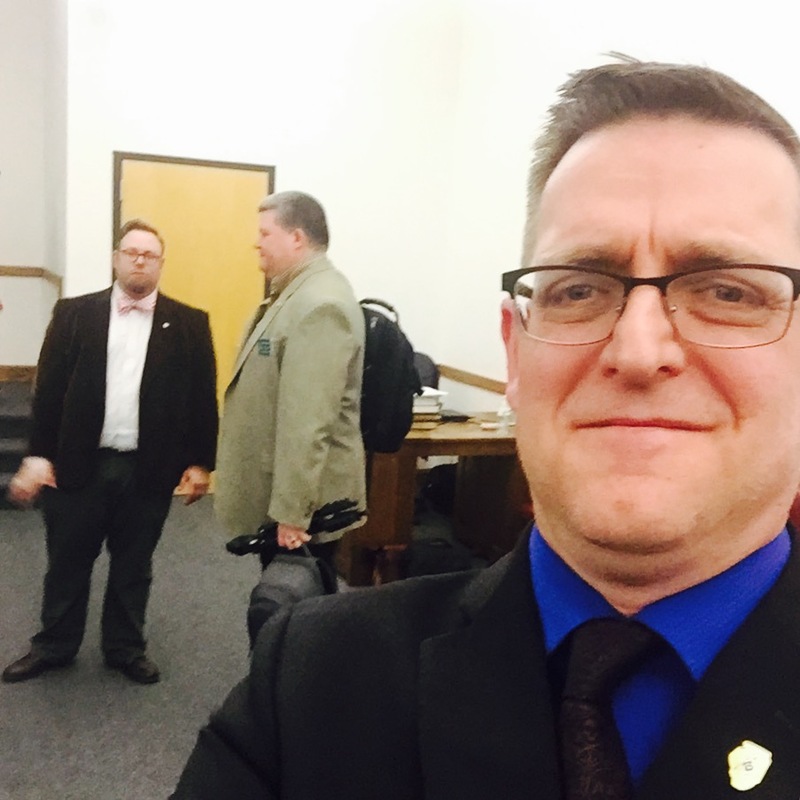 I believe it’s important to ask here and now, what do we hold our grand jurisdictions accountable for? Answering this question requires us to look at what is acceptable within our current society. To look at the normalities of the present age. Where once our fraternity excelled in this, it has now been shown that society has largely passed us by, utilizing the Masonic tenets to continually progress the world, and again, where are we? We usually ascribe this lack of progress to "tradition". The ideas promulgated by our institution which were once revolutionary, which the rest of the world saw and readily adopted have improved the world over. We held an influence. When the social structure of the day was ready and when the people held their local, state and federal governments accountable, the right things were done. Freemasonry influenced that behavior and practice. Now, the profane world has lapped us. They had the struggle, they worked through it by using the free press which forced accountability. This is evidenced through the well known struggles of civil rights and equality. We still however have a long way to go. For even though we glorify a document in which it states, “…all men are created equal.”,we have continued to fail at in practice. Accountability in the political stratosphere is then accomplished by political action, protests and elections of local and state leadership who were and are sympathetic to the cause. Freemasonry is far removed from this. In an institution which has virtually limitless power as it relates to it’s membership, laws, rules, regulations and practices. Accountability is all but present in the areas men should be well concerned with. When visiting Tennessee, I was asked if a certain friend and Brother Charles Harper, was coming with me (they knew from social media that we had hung out and frequently went to the same things and even had travelled together.). When I asked why, it was explained to me that certain members of the lodge wouldn’t sit in lodge with him because he’s black. Recently two grand jurisdictions came with edicts against the membership relating to their sexuality, and I ask you within these two examples, where is the accountability? These are striking examples, no doubt. But make no mistake they are the product of an institution relegated to the back room where no one cares to look, but maybe, they should. How do we hold our organization to the standards it claims to uphold? Enter the Masonic blogosphere. Shortly after the two jurisdictions came out with these rulings against men who hold a different sexuality, reports were far and wide across the United States and the world, describing the actions taken. Even NPR had a piece on it. 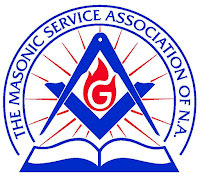 While we as Masons understand that this issue affected only two jurisdictions, the NPR article, which countless people read assuredly ascribed these views to the craft at large. In this, the accountability came in the form of members breaking the code of silence. Within two weeks, no less than five grand jurisdictions in the U.S. and one from Europe either pulled recognition or issued a statement of condemnation against any grand jurisdiction which would bar membership to men based on anything but their good works and character. To hold accountability is to hold the feet to the fire no matter who it is or how much we trust them. In our fraternity there is absolute power. As we’ve all heard, “Absolute power corrupts absolutely.” Free press is necessary for accountability to exist. Free Press caused action. Aside from this blog, The Midnight Freemasons, there are a handful of other Masonic blogs out there that receive millions of views, e.g. Freemasonry for Dummies by Chris Hodapp. On his site, Chris talks about all things Masonic in an independent and free way. It’s fair to say that the things Chris has decided to cover have definitely deflated some stuffed shirts and ruffled some feathers. Hell, we’ve done it a time or two right here….and maybe on my own Facebook feed. You won't find Grand Lodges endorsing blogs or podcasts anytime soon, and whilst we might secretly want their blessing, let’s be honest. We shouldn’t ever have it. By having it, we all but agree to be beholden to the jurisdiction granting our existence, causing a massive conflict of interest and in my own state of Illinois, my Grand Lodge has no desire to stifle Masonic content as long as we converse on the level, maintain professionalism and civility. I guess we’re pretty understanding here. Unfortunately one Grand jurisdiction with a positive attitude doesn’t rub off on the others. And because of this, it’s important to understand the independence of Masonic thinkers, reporters, bloggers and other personalities. It guarantees that the stories that should get out, do get out. Whilst harmony is key in our fraternity, a bigger key is TRUTH. So in closing out this post I propose a toast to all the Masonic web writers, bloggers, YouTubers et al out there who write, report and spread Masonic knowledge and TRUTH. Cheers my brothers! And cheers to the patrons as well!